Debian Stable is extremely stable, but it’s also very slow moving. As a result, you can get stuck with ridiculously outdated software. 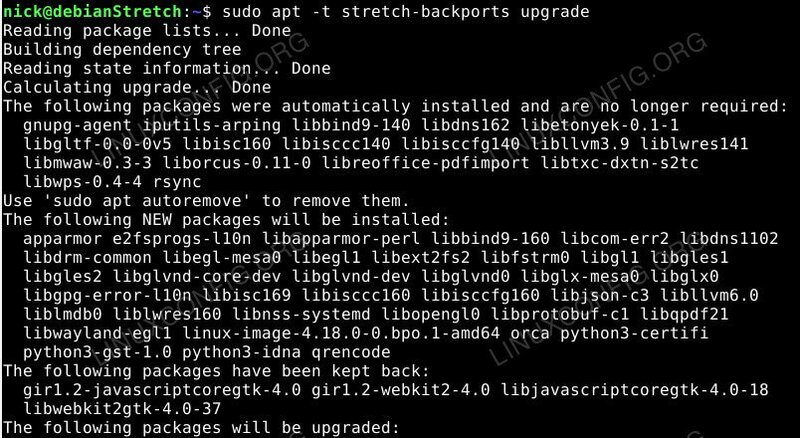 The backports repositories allow you to install newer versions of some software on your Debian Stable system. 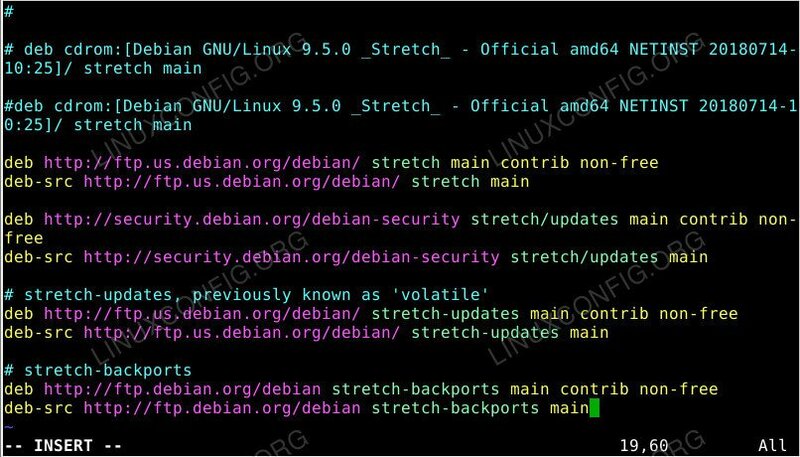 This guide explains how to use backports on Debian Stable. 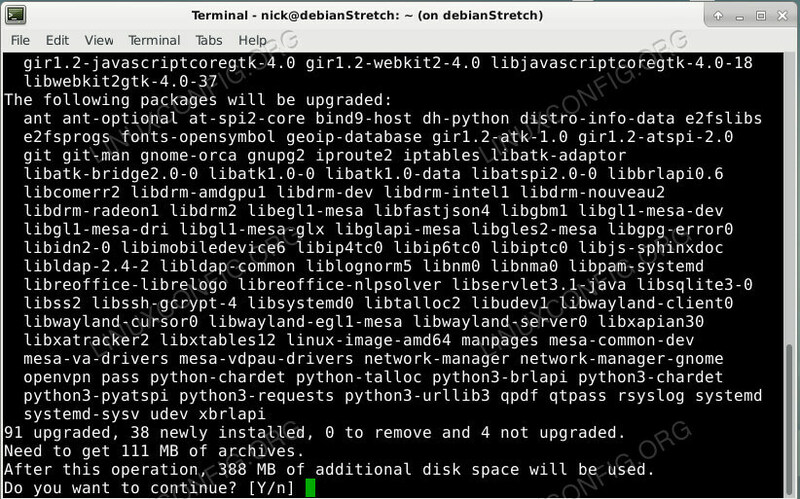 How to Add The Debian Backports Repositories. How to Install a Package From Backports. How to Do a Complete Update From Backports. The Debian backports repository and source repository are officially maintained Debian repositories. They just aren’t added to your system by default. There are plenty of applications, like servers, where you wouldn’t necessarily want those repositories available to accidentally install something new. Because of this, though, you’re going to need to add the backports repo manually like you would an external repository. Add The Debian Backports Repository. To start, open up your sources file at /etc/apt/sources.list with your favorite text editor. When you have it open, move to the bottom of the file, and add in the following two lines. You can exclude the source one, if you don’t plan on using it. Feel free to add in the contrib and non-free options too, if you want those packages. Debian isn’t going to prioritize the backports repository by default. The assumption here is that you’re going to use backports for new versions of specific packages, but you don’t want to update your entire system. That’s actually a good policy to institute when working with the backports repo, but there’s certainly nothing wrong with installing everything in the repository. It’s all tested to work with Debian Stable. 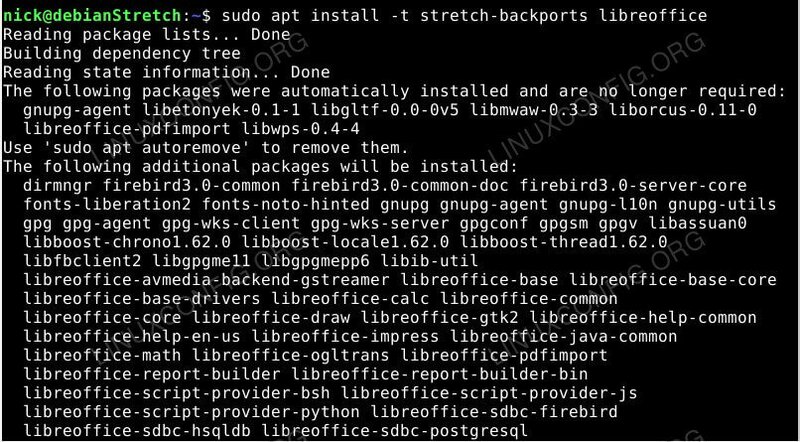 Install a Package Debian Backports. The repository also includes the latest Linux kernels and Mesa releases. If you’re using an open source graphics stack, these are both vital. If you want the latest kernel on Debian Stable, you can try the following. While it isn’t necessarily recommended, you can do an update from backports. This will search trough everything available through the repository and install updates where applicable. It doesn’t mean that Debian will continue to update from backports, though. You’ll have to manually specify it every time. Your normal updates will run as usual, applying new packages from the regular Debian Stable repositories where possible. The Debian backports system should be your first choice when looking for newer packages on a stable install. Because it’s an official Debian repository that’s designed to work with Stable, you have a greatly reduced chance that anything will go wrong. When you pull in external repos, there’s always a chance that something isn’t fully tested. Unfortunately, not everything is available in the backports, so this isn’t always an option, but it’s extremely beneficial to have.